Shared experiences strengthen ties to your children and make your family a happy one! Discover the child-friendly Gastein Valley with your family: build dams by the creek, climb mountains, bake bread on an alpine pasture, observe rams and more. 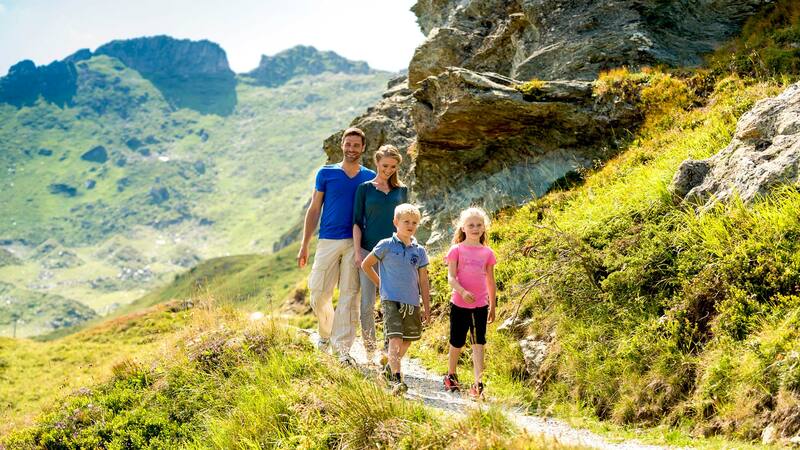 Enrich your family holiday with great adventures in Gastein! Discover a fairytale and herb hike with your children, observe farm life on the alpine pastures and enjoy your little ones’ laughter whilst playing with animals. Or wildly splash around in the Hotel Bismarck’s family spa! 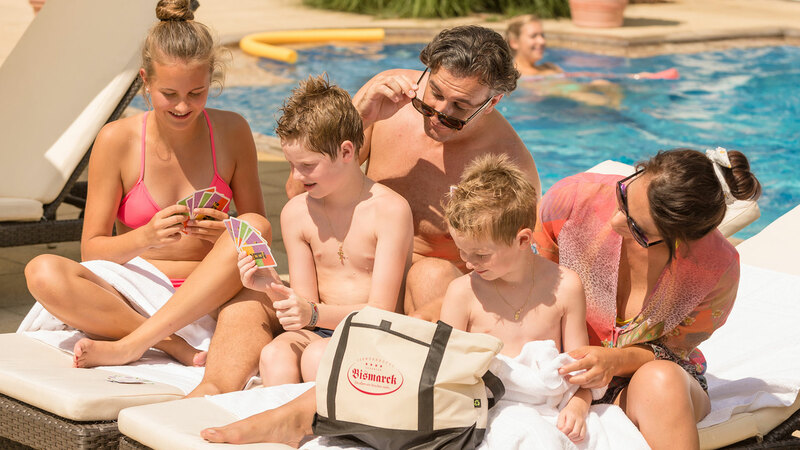 In short: have lots of fun together during your family holiday in Austria! From July through August, we offer a partially supervised children’s programme, with great weekly activities from Monday until Friday. Group hikes around Dorfgastein, bread baking on the Amoseralm Pasture, including a petting zoo and playground. Excursions to the Icelandic horse farm in the village of Oberhaitzing, panning for gold, and doughnut baking in the village of Boeckstein are all part of the programme. The card is available for 6 or 12 days and includes many Salzburg attractions in the Gastein Valley, the countryside of Salzburg and Salzburg city! Valid until the end of October. Another great tip for your family holiday in Bad Hofgastein is the lama trekking tour through the idyllic Gastein mountain landscape. After a short general introduction to the handling of lamas as load-bearing animals, these trusting animals uncommon to Austria are saddled up and loaded with backpacks. In the company of an experienced guide, you’ll walk to the Riedlalm Pasture in Bad Hofgastein, where a delicious traditional buffet will be waiting for you. The family-friendly alpine huts in Gastein are equipped with their own children’s play areas – perfect for a summer holiday with children. Whilst your little ones romp about on the pastures, pick colourful flowers and watch butterflies, you can have some down-time on the sun terrace. Enjoy the mountains, rock formations, alpine pastures and streams, the pungent fragrance of hay, freshly baked bread and camp fires. Teens will find great bike trails in Gastein, discover challenging climbing routes with the guidance of our experienced Gastein mountain guides and find delight in hiking or panning for gold. This is a new offer at the Gastein cable cars from the end of June until mid-September: The monster scooters are ready to go and can be rented at the Schlossalm summit station! Rolling to the mid-station on two wheels is an unforgettable experience. Especially recommended for children 10 years and over. In Bad Gastein you’ll find a flying fox named “Flying Waters”, which is around 270 m in length. The route with a magnificent view takes you from the Villa Solitude over the valley to the Gastein waterfalls and the old Quellpark power plant.